Search crews are using underwater sonar to look for the wreckage of a missing airliner that crashed off Indonesia with 189 people aboard, officials said Tuesday. Lion Air Flight 610 crashed after takeoff from Jakarta Monday. Officials said it climbed to 5,350 feet before it fell and disappeared from radar. The pilots had requested a return to the airport. "The erratic flight path makes us suspect a problem with the pitot-static system," Gerry Soejatman, an Indonesian aviation expert, told The New York Times. A pitot tube is a small tube on the wings or fuselage of an aircraft that determines critical information like altitude and air speed. Lion Air added that the Boeing 737 MAX 8 had a "technical issue" that was resolved before flight. Authorities are looking for the plane's wreckage and "black boxes," which could hold valuable clues as to why the flight crashed. The water in the area where the plane is believed to be located is about 115 feet deep. 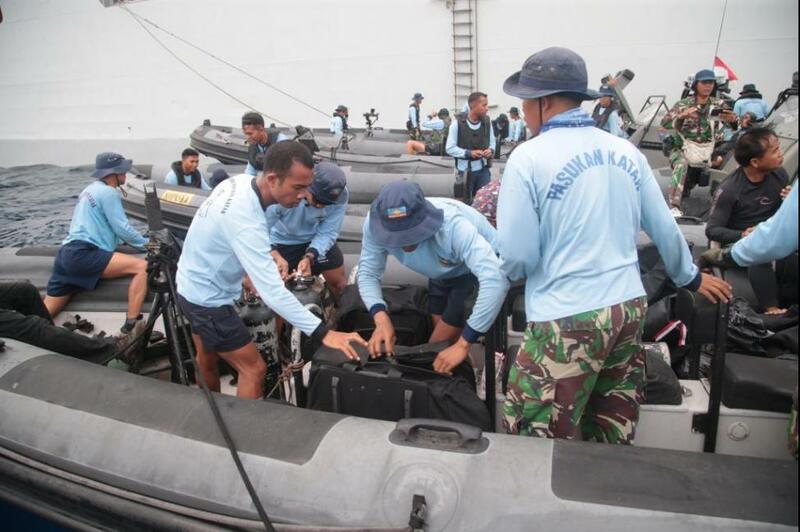 "Once we find signs of metal, we'll deploy underwater beacon locators to find the black boxes," said Soerjanto Tjahjono, the head of Indonesia's National Transportation Safety Committee. The pings emitting from one of the boxes can be detected about a mile away, but only have a certain battery life. The search area has been doubled to 10 nautical miles. The aircraft that crashed was just 2 months old, officials said, and Monday's was the first crash for the new 737 MAX 8. Indonesian transport minister Budi Karya has ordered Lion Air and Garuda, another local airline, to inspect all Boeing 737 Max 8 models. Lion Air has eight of the aircraft and Garuda one. Maintenance records, flight logs, pilots records and control tower data will also become part of the investigation. Officials said the pilot and co-pilot had a combined 11,000 hours of flying experience. Twenty-four bodies have been recovered so far, officials said.